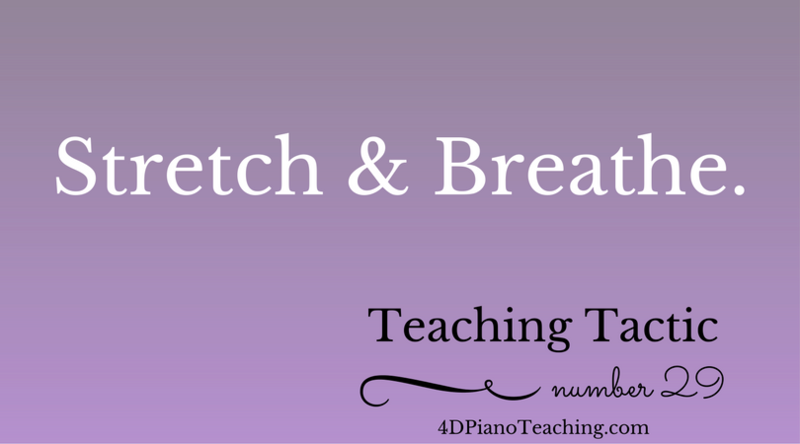 Quick Tuesday post – remember to stretch and breathe! Both teachers and students can benefit from stretching yet most teachers I talk to forget to do this each day. Then we have aches and pains from sitting too long at the piano or next to the piano. 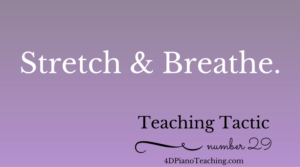 There are so many resources to find types of stretches and breathing exercises we should do so today I want to challenge each of us to take a moment and do something. Anything is a great start! And really, seeing a teacher do it sets a great example for students to begin doing it more often too. “The Benefits of Stretching for Musicians: A Practical Guide,” by Lesley Sisterhen MCallister from the MTNA E-Journal, Nov 2009 (need MTNA membership to access the archives). Performance Practice Challenge - Free Printable!